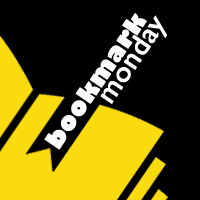 #BookmarkMonday: Neil Gaiman, leather and calligraphy! 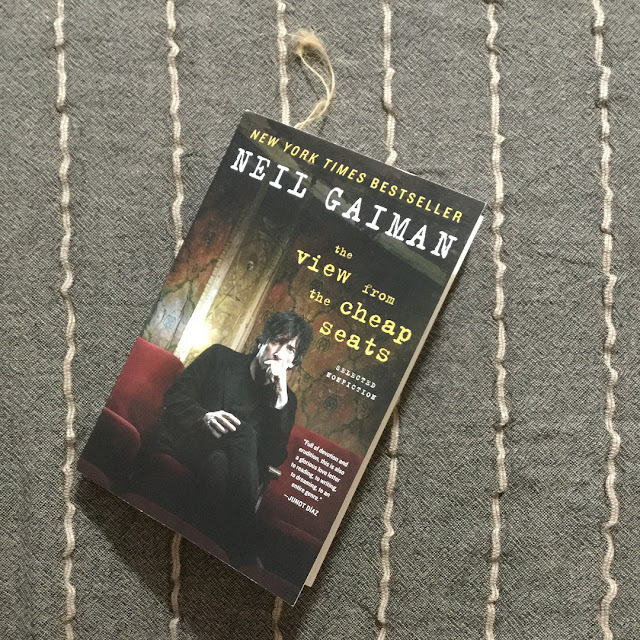 I just started reading Neil Gaiman's new book – non-fiction!!! 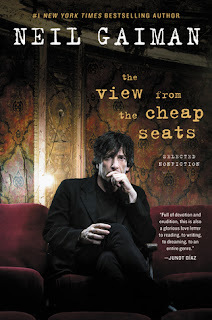 – The View from the Cheap Seats: Selected Non-Fiction*. I got this late for a TLC Book Tour but am reading it nonetheless because of course, this is Neil Gaiman. As a bookmark, I have an old leather tag from an bag I bought. I have a hard time tossing away product tags when so much thought obviously went into them. 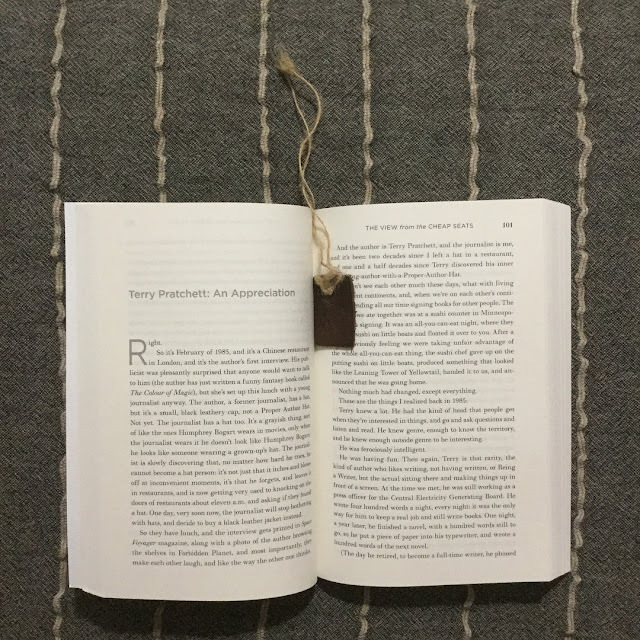 Do you use product tags as bookmarks? Show them to me!